Lots of big things happened in the City of Encinitas this week that I’m eager to share with you. Progress on Encinitas’ largest capital project – overhauling 2.5 miles of Coast Highway through Leucadia – hit a speed bump this week. 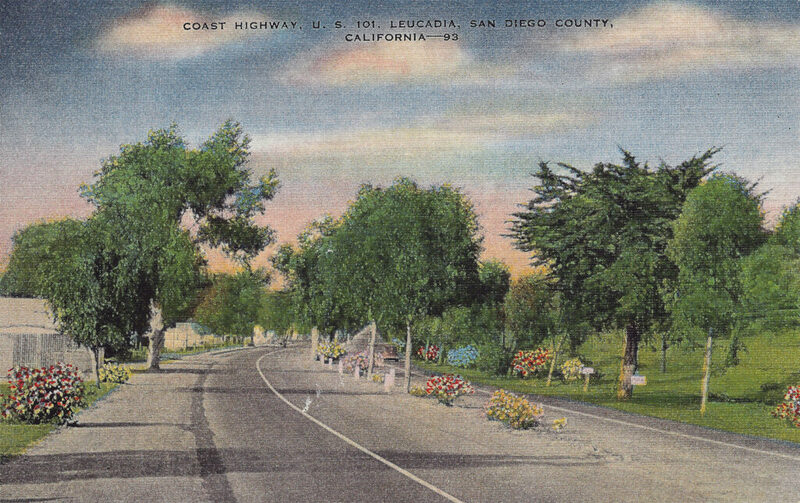 The top two photos show the Leucadia corridor along Coast Highway 101 in its current pre-Streetscape state, and for nostalgia buffs, the bottom photo shows a postcard of the same route, probably from the early 1940s. What Happened: The City Council rejected a proposed redesign of Leucadia Streetscape by SANDAG and NCTD that would have eliminated the parking pods in the rail corridor in favor of corridor-wide on-street parking, added a 16-foot Coastal Rail Trail, removed more trees, and made other design changes. 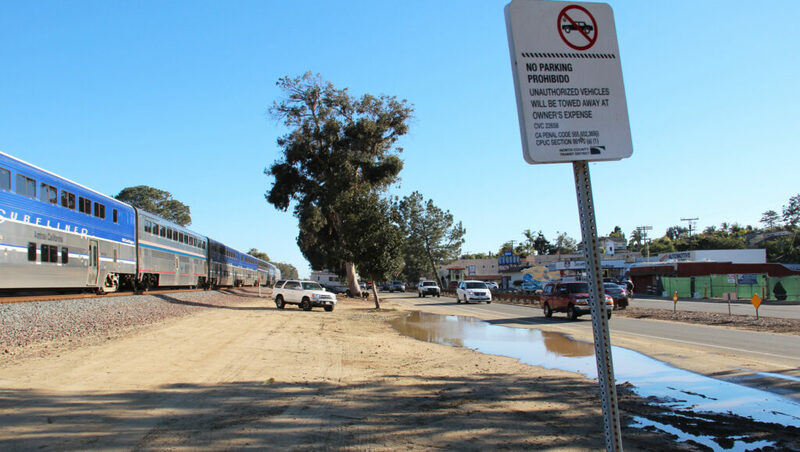 The agencies proposed these changes to accommodate a wider maintenance and safety right-of-way in the rail corridor, a future second rail road track on the east side of the existing track and drainage facilities east of the tracks. Why: All three agencies (Encinitas, SANDAG and NCTD) need to agree in order for Streetscape to be built. Each entity has a different set of interests and priorities. The rejected proposal is a demonstration of the fact that the proposed redesign doesn’t meet our city’s priorities. But it’s a mixed bag. I’m concerned that we not allow the perfect to be the enemy of the good. Some parts of the redesign I really liked, including the inclusion of a multi-use path that is physically separated from cars inside the rail corridor. 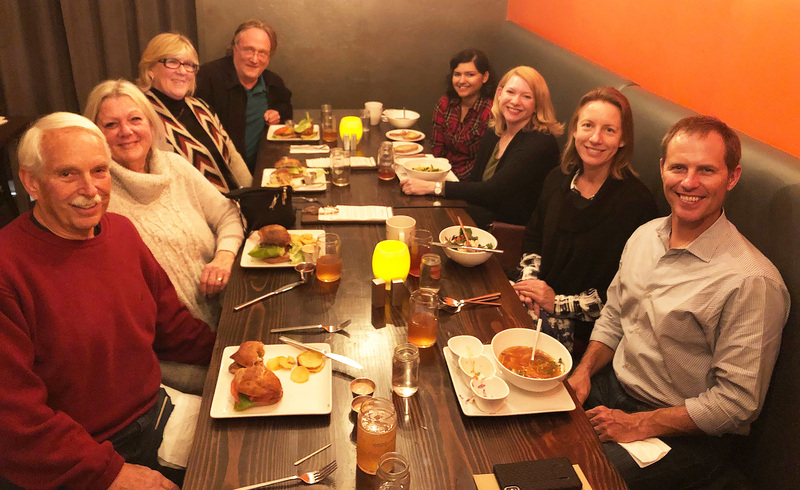 What’s Next: Given her knowledge and passion for this project, our new Councilmember Kelley Shay Hinzie will work with Councilmember Tony Kranz on an informal subcommittee to find the compromises necessary to move Streetscape forward from here. I remain committed to improving Highway 101 through Leucadia and supporting this effort as it evolves. Here’s the story from the Encinitas Advocate. What Happened: The Council decided that it will include in its state-mandated housing plan due to the judge in April the city’s intent to ask a judge for “declaratory relief” to allow the city to adopt housing plans despite the Proposition A voter requirement in order to comply with state housing laws. Why: The state department of Housing and Community Development, whose approval we need, is requiring us to “amend or invalidate” Proposition A’s voter requirement when it comes to state required housing plans. As a city council we don’t have the authority to do that. So we’ll ask a judge for the authority. Here’s the Coast News story on our decision. And here are related news stories from the San Diego Union-Tribune, and another from the San Diego Union-Tribune, and here’s a well done 3-minute NBC 7 video called “San Diego Explained: Encinitas Affordable Housing Struggle,” done in partnership with the Voice of San Diego. 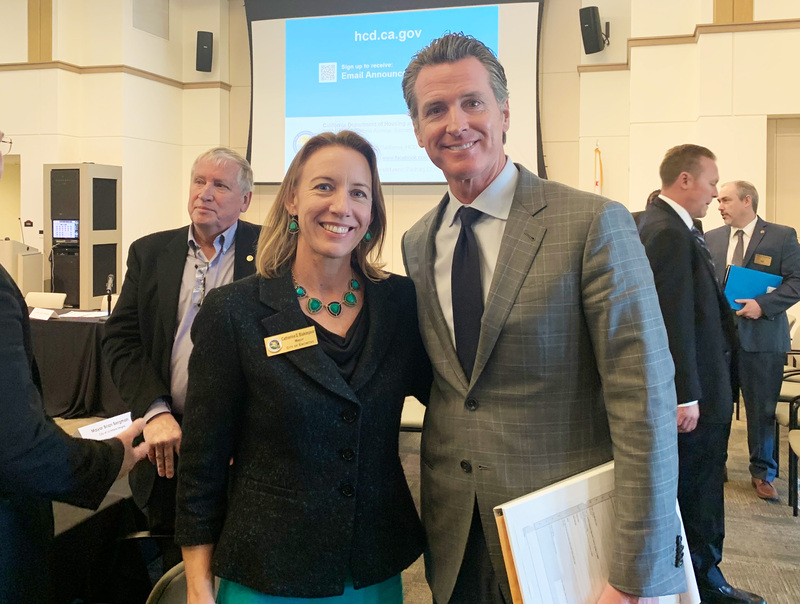 Meanwhile, last Tuesday I was one of 17 mayors who met with Governor Gavin Newsom in Long Beach about our lack of housing element compliance (see photo above). I think the meeting was intended to send us the message that he’s truly serious about every city zoning for more housing and building it. He wanted to understand what was holding up cities like ours from complying. Every city seemed to have a different reason for non-compliance. During my comments I mentioned that there’s really no need for the state to drag us into yet another housing lawsuit because we’ll have a compliant housing plan by April. He laughed, saying later that his intent is to work with cities to zone and build more housing, which will help keep everyone out of court. He is clearly expecting us to do our part. Here are pieces on our meeting from News 8, Voice of San Diego, and the Los Angeles Times. 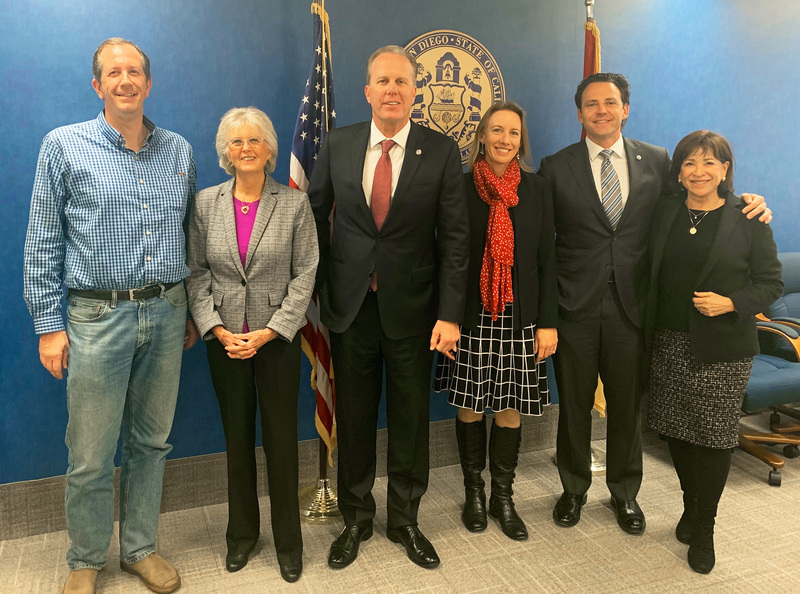 San Diego Mayor Kevin Faulconer (center) held a roundtable lunch with some elected leaders in San Diego County last week who may be interested in forming a joint powers authority (JPA) to administer an ecologically friendly Community Choice Energy (CCE) program. In the photo above, you’ll notice that Supervisors Nathan Fletcher (second from right) and Dianne Jacob (second from left) are in attendance. The Board of Supervisors is going to consider this important issue (again) this coming Tuesday. I’m hopeful that this time the supervisors will decide to get on board with a CCE – it would be ideal to have county leadership here. The two others in the picture are Solana Beach Mayor Dave Zito on the far left and Chula Vista Mayor Mary Salas on the far right. What Happened: At our City Council meeting, we heard the draft feasibility study for our CCE program that we evaluated with Carlsbad, Oceanside and Del Mar. This is our plan to switch from SDG&E as the generator of our power to community choice energy, which would allow residents to get their power from renewable sources, lower their rates and have more local control. 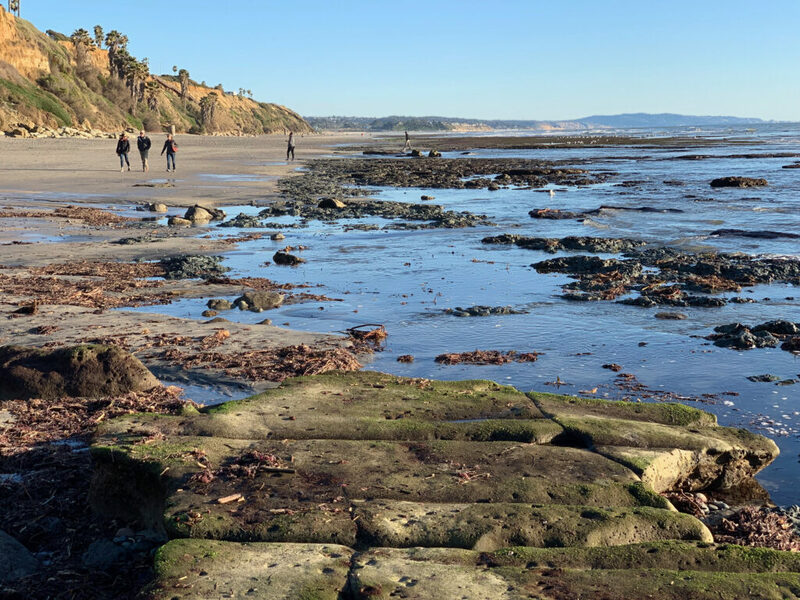 What’s Next: Encinitas aims to have its implementation plan submitted to the California Public Utilities Commission by the end of the year. To do this, we need to determine how the CCE would be run. I think the preferred option would be for Encinitas to join with the City of San Diego and other interested cities and the county in the creation of a JPA, which would limit all the cities’ liability and give us the economic benefits and economies of scale that come from working together. Here’s the Coast News article on the release of our study showing that CCE’s are financially feasible. What Happened: At SANDAG, where I am vice-chair of the board, we unanimously supported our new executive director Hasan Ikhrata’s request to go in a new direction with the plan that will determine the transportation projects in our future. This was welcome news. It comes with risks, which were presented in detail. It’ll take time to develop and submit the new plan for a full environmental impact report, which means the updated plan will be late and won’t meet federal and state deadlines. Why it matters: The bottom line is that our current transportation network does not allow us to cut greenhouse gas emissions to the level required by state laws. We need more and better transit, and a plan that reflects a different countywide transportation future. I snapped this pretty picture while exercising on the beach near Pipes during one of our crystal-clear days between rainstorms last week. Just another piece of evidence that we live in one of the best places on the planet. I hope you’re enjoying our outdoors, too. Have a great week. See you in your inbox on March 10.